Eltronicschool. - This is one again electronic simulation software design that called with Windows. This software called with LTspice can assist both students and professional electronics engineers in designing simple to complex switching regulators and running circuit simulations. In this time, we will give you global description about this software and then we will give you link to take free download LTspice for Windows to Simulate Electronic Design from original source. This is LTspice for Windows to Simulate Electronic Design for you. According Wikipedia describe that LTspice IV provides a schematic capture and waveform viewer with enhancements and models to speed the simulation of switching regulators. Supplied with LTspice IV are macro models for 80% of LTC's switching regulators and operational amplifiers, transistors, MOSFETs, and passive components. LTspice IV is node-unlimited and third-party models can be imported. Circuit simulations based on transient, AC, noise and DC analysis can be plotted as well as Fourier analysis. Heat dissipation of components can be calculated and efficiency reports can also be generated. LTspice IV is used within LTC, and by many users in fields including radio frequency electronics, power electronics, digital electronics, and other disciplines. LTspice IV does not generate printed circuit board (PCB) layouts, but netlists can be imported into layout programs. While LTspice does support simple logic gate simulation, it is not designed specifically for simulating logic circuits. 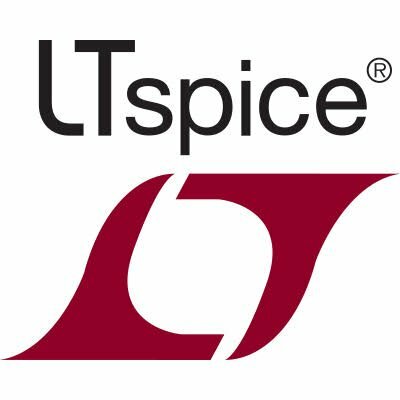 LTspice was originally called SwitcherCAD and is sometimes still called by that name. The software is maintained by Mike Engelhardt. The application is written for Microsoft Windows but, since 2003, it will run under the Wine Windows compatibility layer under Linux. Since 2013 there is also a native OS X version available. From version IV LTspice requires at least a Pentium 4 processor and Windows 2000 or later. And now you can click the link below to take free download LTspice for Windows to Simulate Electronic Design from original source.